Earring will be shipped in a FREE Mahagony wood jewelry box with mirror making it great for gift or for your own storage. A perfect for everyday fashion and great for any occassion. Great for a Passover Gift. 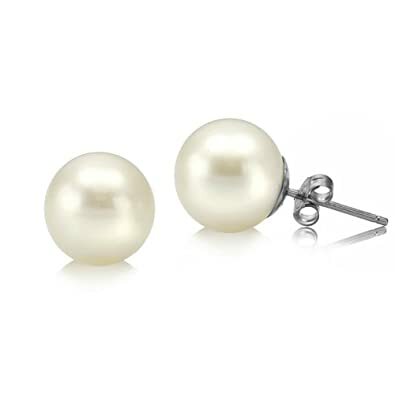 Get 68% off 14k White Gold 8-9 mm White Freshwater Cultured Pearl Perfect Round High Luster Stud Earring.